Gujarat has always been a riddle for those who tend to apply conventional academic or intellectual tools to unravel the mystery. When confusion gets confounded, such analysts invent subterfuge to cover up their failures. Nothing illustrates this dilemma as starkly as the projection of the Gujarat assembly election as a Narendra Modi versus Rahul Gandhi battle. And ironically some of conventional political analysts, in prime minister Modi’s metaphoric description “pandits”, see in this election Rahul’s emergence as a formidable politician in his own right. There is nothing wrong if any person, let alone a politician, evolves in due course of time by dint of his hard work. And equally, one cannot grudge that a section of analysts find Rahul growing into a mature politician. These are subjective opinions which can be contested but have to be respected. But what is quite ridiculous is the assessment that Rahul would emerge as a formidable challenge to Modi and the BJP in Gujarat. Those who tend to see Gujarat through the prism of conventional political and caste equations are doggedly refusing to acknowledge that Modi, the tallest Indian leader in the recent decades, has essentially built his base as the strongest regional leader in India. Now, when this tallest leader who has also been the strongest regional leader goes to his home state and seeks support for his party, it would take a degree of intellectual gymnastics to argue that people will not respond to him. More so, when he has only this year won a record-breaking mandate in Uttar Pradesh, a state with far more complicated caste equations. If Modi is known for great oratory, where else will it be more persuasive that in his mother-toungue? Let us jog our memory. Just before the 2002 assembly elections, he had launched Gujarat Gaurav Yatra across the state, though the project was disapproved by the BJP’s top leadership then. This political endeavour was frowned upon as it came in the wake of the post-Godhra riots. But Modi stuck to his guns, completed his yatra campaign with a chutzpah rarely seen in a politician passing through troubled times. Remember, Modi was then a fledgling leader within the BJP, overshadowed by the presence of many tall leaders including Vajpayee-Advani duo. Those who covered the 2002 assembly elections would testify that Modi won it on his own. 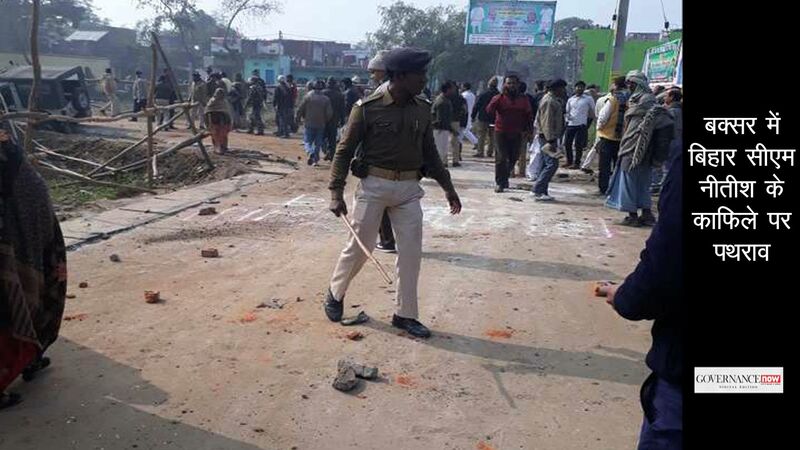 Given the background of the riots, the victory was dismissed as a result of the communal polarisation. But was that the case? In fact, Gujarat had a long history of riots, for example, in the 1980s, that seeded a deep angst in society. In 2002 Modi, though belonging to a caste with miniscule representation, emerged as someone who can get the society rid of this malaise. Modi’s deep understanding of the society propelled him to channelise this simmering social discontent into a positive movement about “Gujarati Asmita (pride)”. Unlike in the Hindi heartland – particularly Uttar Pradesh and Madhya Pradesh, Modi’s strategy found resonance among people. He launched various programmes and events that focused only on Gujarat. There is an anecdotal story that Modi was advised by one of his Singaporean friends to “focus on Gujarat” and build his base. His frequent refrain of “working for five crore Gujaratis” was germane to his overall political strategy. But that is only one side of the story. He worked on various aspects. For instance, till 2007, he launched a vigorous campaign to turn around the state’s public sector enterprises, particularly the state electricity board, and tried to devise schemes to ensure water supply in drought-prone Saurashtra and Kutch regions. Those who have visited the state before 2007 would testify that in these two regions, there used to be “water mafias” whose tankers used to ply on streets of cities like Rajkot. Modi took tough decisions like reforming and restructuring the electricity board. At the same time he faced a revolt from within as Keshubhai Patel, his predecessor and the tallest Patel leader in the state then, along with some disgruntled BJP leaders, stealthily supported the Congress and tried to subvert Modi’s prospects. Those who think Patel had risen in revolt for the first time would find that the ongoing Patidar agitation is far feeble than the past rebellion. The apparent reason was the fear among powerful Patidars who found power slipping away from their grip. At the same time, Modi’s electricity reforms led to the arrest of a large number of farmers who refused to pay electricity bills. Even the Bharatiya Kisan Sangh, the farmers wing of the RSS itself, had come out in the streets against the chief minister then. And yet, none of it mattered in the 2007 assembly election results. Compared to the widespread social unrest caused by power reforms just before the 2007 assembly elections, troubles of GST are on a much smaller scale, limited only to a few pockets. 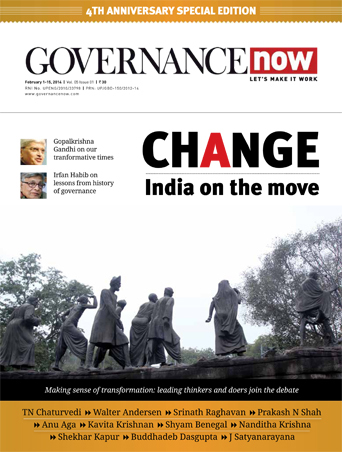 Modi not only remained unfazed but also expanded his social base by coopting social groups which were politically marginalised but numerically strong. For instance, the Koli caste (to which President Ram Nath Kovind belongs) and tribals were roped in by giving a share in political power. 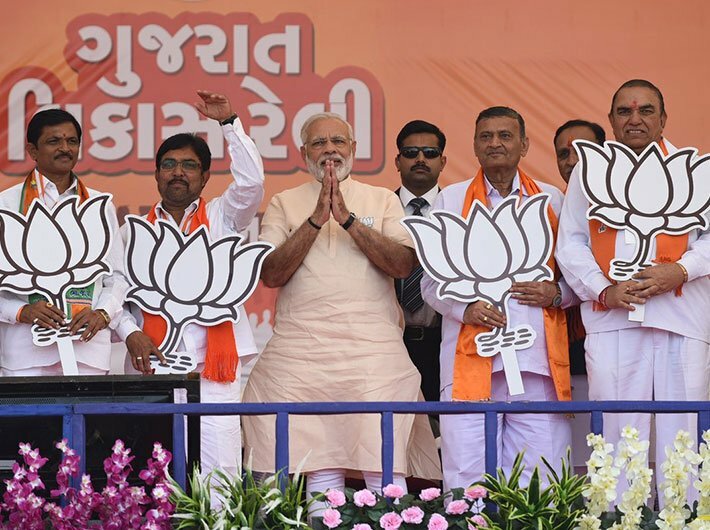 In caste terms, the 2007 assembly elections had found Modi ranged against all powerful castes of Gujarat – Kshatriya and Patel, not to mention Muslims – if one goes by conventional wisdom. But the result proved all those analyses wrong as Modi had successfully reached out to larger sections of society. Perhaps the most predictable election for Modi was in 2012 when he had already emerged as the main challenger at the national level and literally assumed the numero uno position in his own party on account of his popular appeal. By that time he had become unstoppable. Now let us examine what has changed in 2017. The logic that his absence in the state would make a big difference is quite akin to saying that people of Gujarat would love Modi more as chief minister than as a prime minister. Chief minister Vijay Rupani is dyed-in-the-wool politician with a fairly untarnished image and rooted to the ground in Gujarat over the last four decades. Unlike Modi he does not evoke extreme emotions and that is his strength. Now look at the crutches on which the Congress has been relying on. It would be rather stupid to compare Hardik Patel with Keshubhai. Dalits are too fragmented to be represented by a leader like Jignesh Mevani. Since 2007, the BJP has made significant inroads into social segments like Dalits and tribals. Gujarat being one of states with a high tribal population, the BJP’s organisational expansion through the RSS network has made the tribal constituency an impregnable bastion. In Gujarat’s context, the plain and simple caste arithmetic as is normally applied in Uttar Pradesh and Bihar does not work. The state has found its political and social equilibrium after a great deal of turmoil in the 1980s. In a society driven by business and entrepreneurial impulses, such a situation can be disturbed only if there is a promise of a better tomorrow. Do you think Rahul is a beacon of such hope? Those entertaining such an illusion will never be able to comprehend Gujarat’s puzzle. But there is no doubt that Modi and the BJP would win this election hands down.